I’ve been searching for a half-decent ECG simulator since last year, but hadn’t found one that costs less than “more than I have”, so I was pleasantly surprised to find the rather unnecessarily named simECG: ECG Simulator for free, on Windows and Linux. simECG offers a number of functions in its current version. The operator can select from a series of common arrhythmias at the click of a button, and observe the associated waveform on the display. Unfortunately, only a handful of options are actually selectable, at present, with the others showing as greyed out, presumably, as with many Open Source programs, until they are finalised by the development team. The custom settings tab provides the means to alter each area of the trace individually, adjusting heart rate, P wave amplitude/duration and more, and watching the displayed trace change in real time. The program hints at future save/load functions for your altered settings, too, which will be a nice inclusion for educators to make use of. All of the aforementioned are easy to use and clearly marked, even if there aren’t currently all that many of them. The option exists to change the background between ECG paper and a monitor screen, although the ECG paper skin is purely cosmetic. It would have been nice if the paper option was more in correlation with the amplitudes and durations selectable in the readout options. Greyed out sections of the “preferences” tab hint that calibration will soon be able to be changed by the user, so it would be preferable for beginners and students if these proposed calibration options had a realistic background to use in conjunction with the created trace. I couldn’t find an option to reset the trace at all, even in a greyed out form, and as a result, returning to the default custom settings is something of a chore. Hopefully this is something the developers will consider including in future iterations. By now you may have noticed the appearance of the waveforms in the above trace. The trace waveform was one of the first things I noticed, as the whole thing doesn’t look right. The P and T waves look malformed, with the latter presenting almost as though the patient was displaying hyperkalaemia despite this being labeled as a normal sinus ECG. 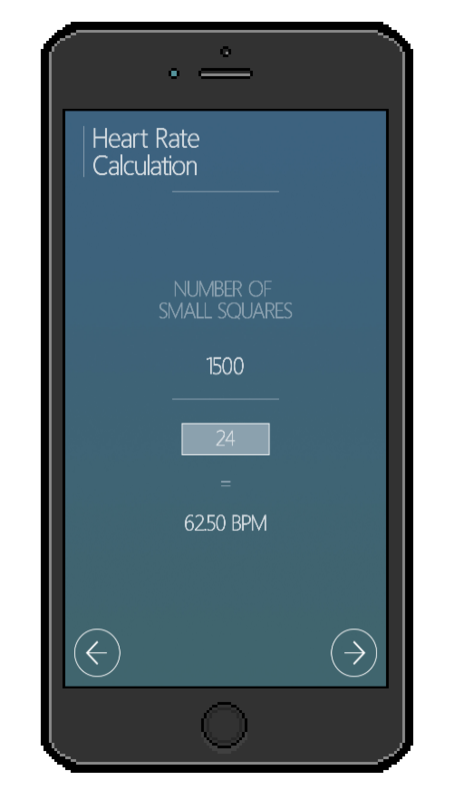 The assessment quiz tab gives the user an opportunity to identify 10 rhythms in 60 seconds. It’s fun, sure, but given the odd appearance of the waveforms, it becomes a case of memorising the traces present in this program alone, as they aren’t all applicable to real life. I’ll be honest, it’s hard to criticise something that the developers admit will “never be finished” due to its Open Source status, but the nature of this website and Open Source in general means it pays to remain objective. In actuality, whilst I have highlighted a few issues, the fact that this tool is ever-evolving and totally free, means I can only commend the development team for their ethos and hard work. Martins, Costa and Marquez state their belief that education shouldn’t be a corporate tool, or purchasable commodity, rather it should be accessible to all. The more people there are to flag issues, the better an idea the team can have of what functionality to add, what bugs to fix, and what other changes are felt to be necessary by users. Despite being generally incomplete at present, it’s not only one to watch for in the future, but one I’d ask every cardiac physiologist to download and play around with. Due to this version still being in the 1.n phase, I have high hopes for the future of this software, as it has great potential as a learning tool. With the addition of more options in the preset tab, further wave/interval customisation, and more accurate waveforms in general, simECG could help physiology students consolidate their knowledge without carting loads of textbooks around, making it an essential bit of kit. Previous Previous post: Is Mobile Echocardiography On The Horizon?